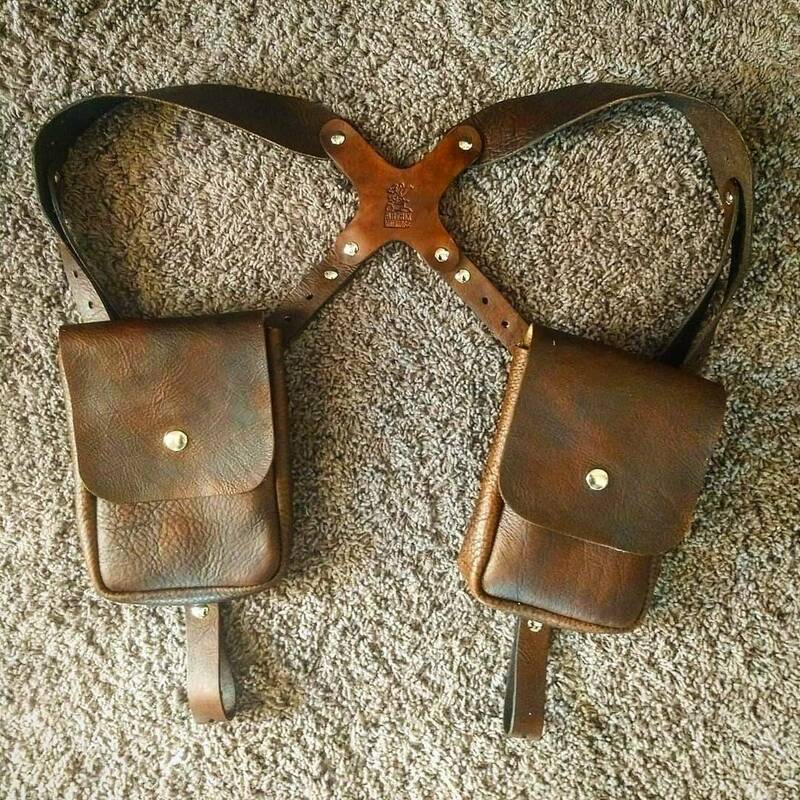 Custom leather shoulder harness with side pockets. 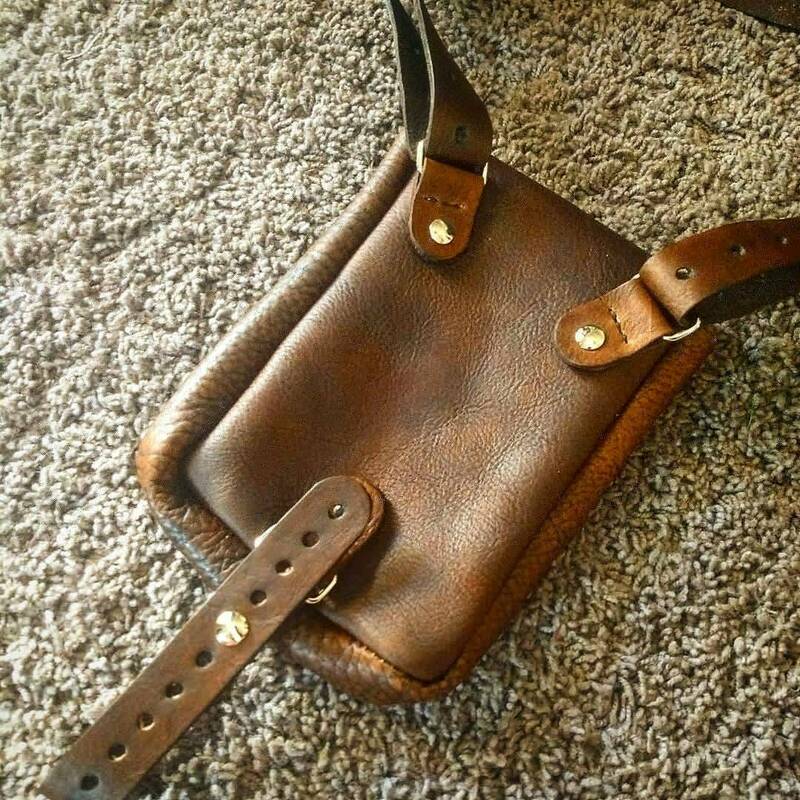 Genuine full grain, veg tan cow hide, hand stitched with heavy duty waxed thread, heavy duty snap closures on pouch flaps. 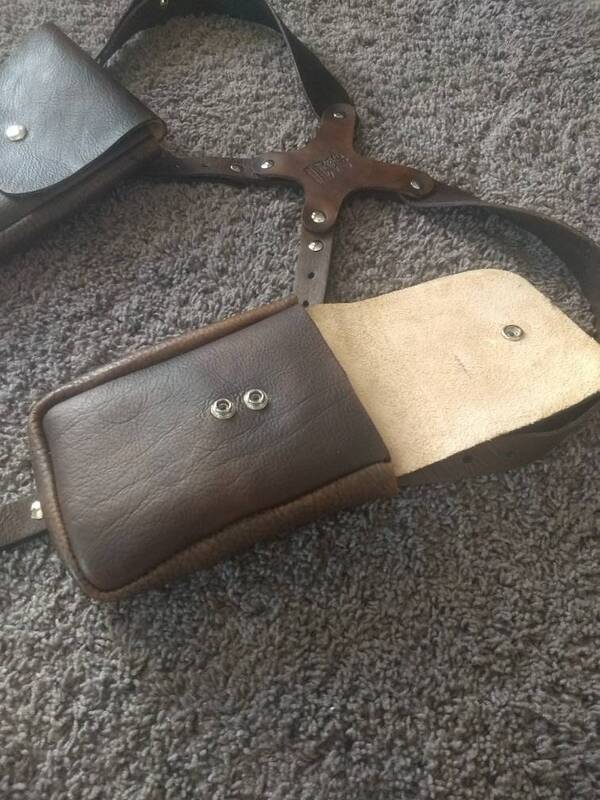 Completely adjustable with screw back rivets and removable belt tie towns. Pouches measure 5 inches (12.7 cm) wide x 7 inches (17.8cm) tall with 1.5 inch (3.8cm) gusset. One size fits all.